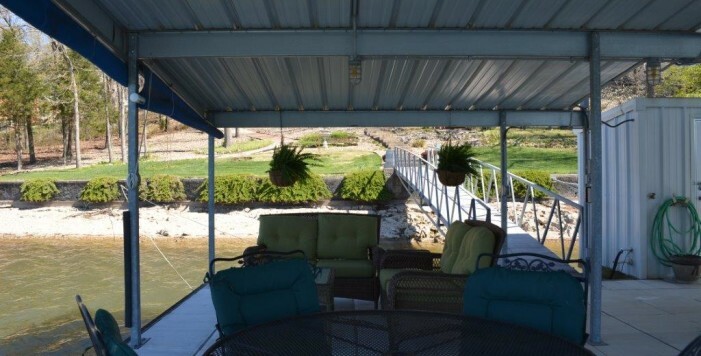 Breathtaking View upon entering! 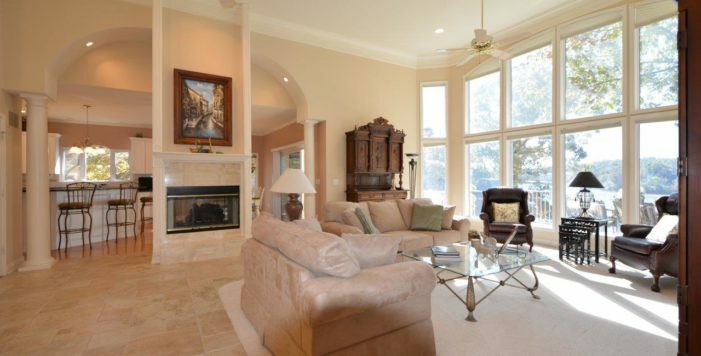 Masterful Design & Craftsmanship throughout. 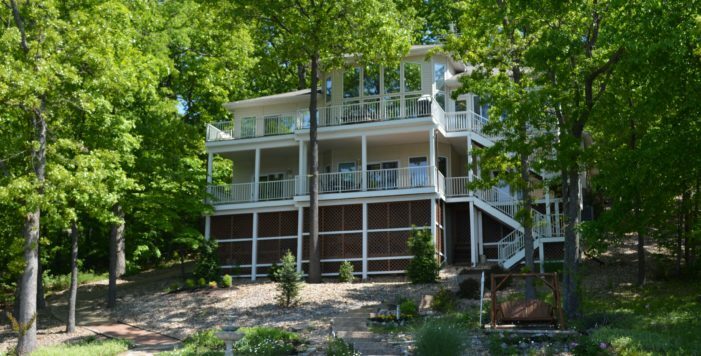 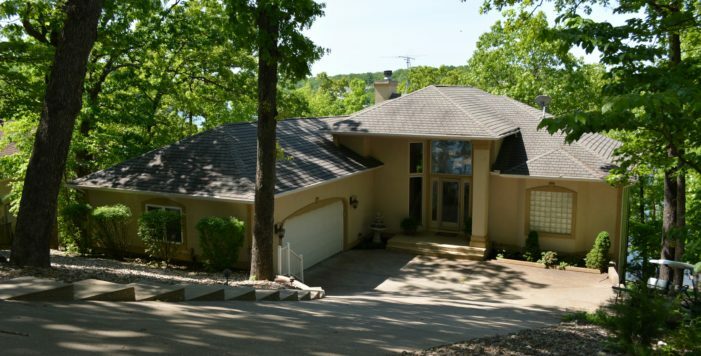 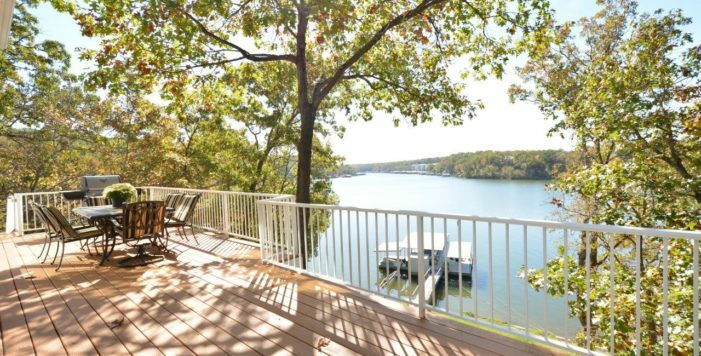 One owner, 3630 SF-4BR/3.5BA, sits on 125’ of gentle lakefront w/concrete steps & cart pathway from Garage to Dock. 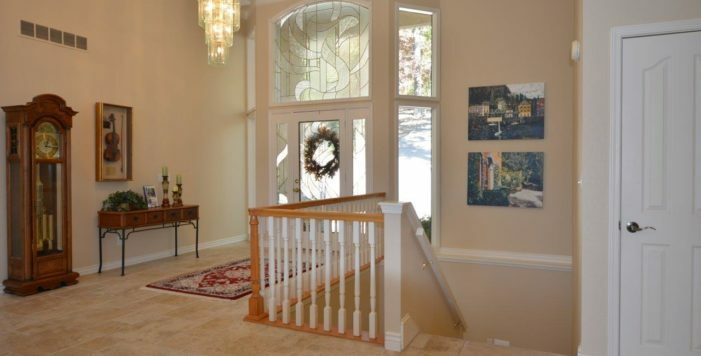 Stunning Leaded Glass Door/Side Panel/Transom entry to porcelain tiled floors,double sided see thru gas fireplace & triple step down crown in Great Room w/wall of windows to lake. 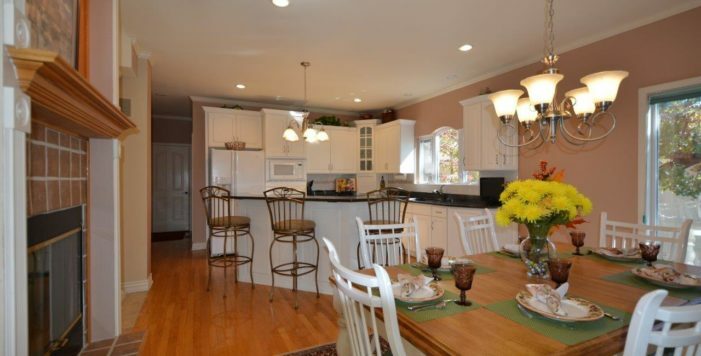 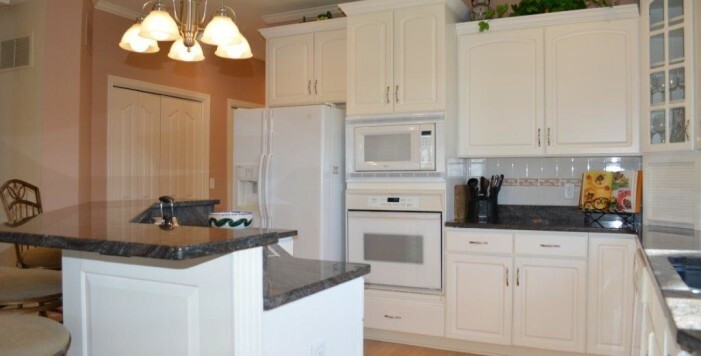 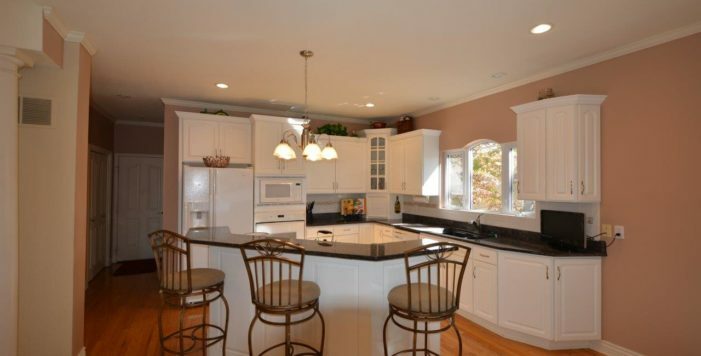 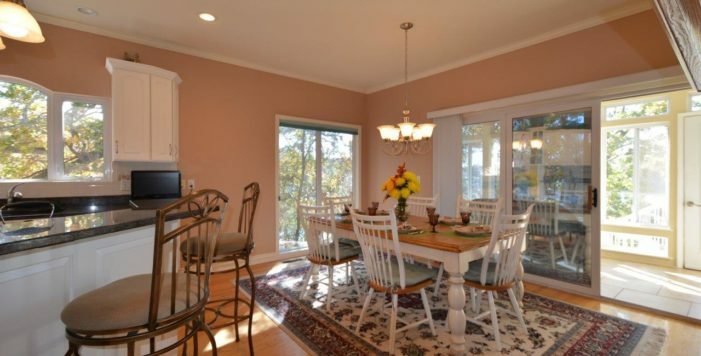 Kitchen w/oak floors, staggered cabinets & granite countertops shares see thru fireplace w/dining area. 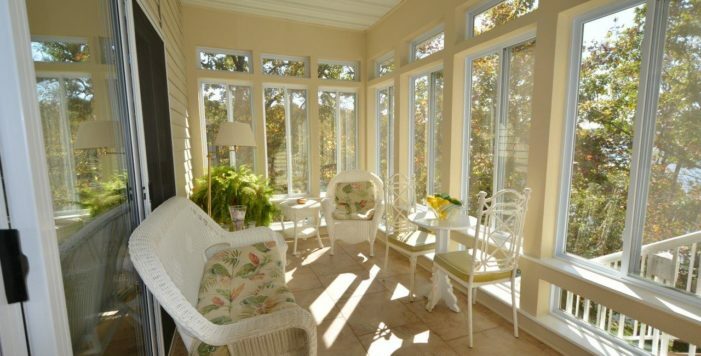 Walk thru Sun Room w/floor to ceiling windows & step out to full length decks upper/lower with adjoining stairs. 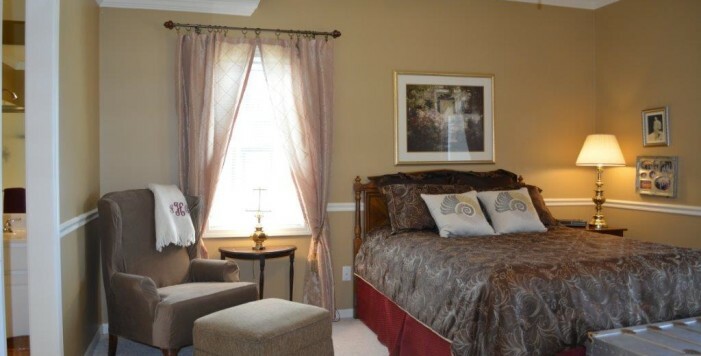 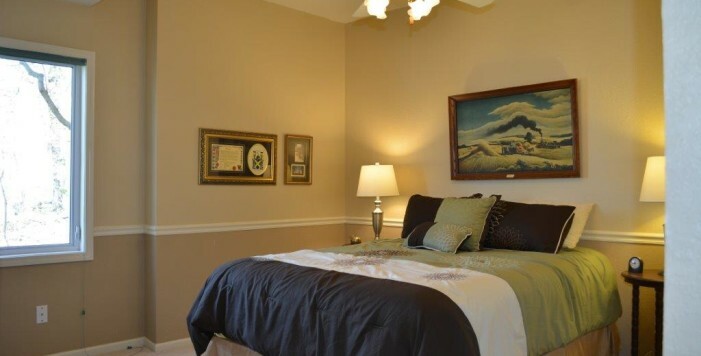 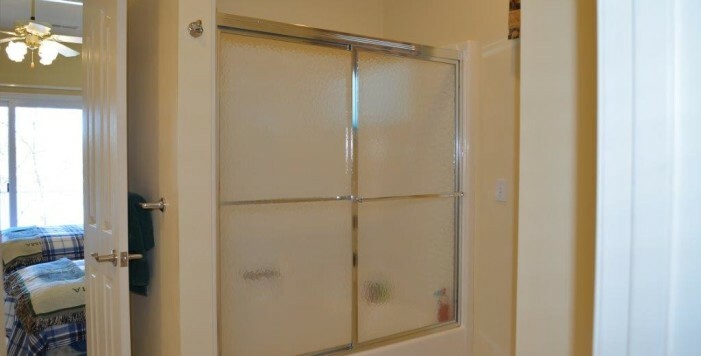 Lakeside Master Suite w/walk in closet, dual vanities, corner Jacuzzi tub & walk in shower. 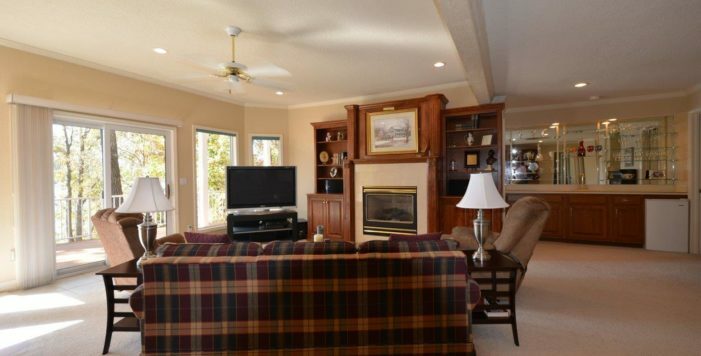 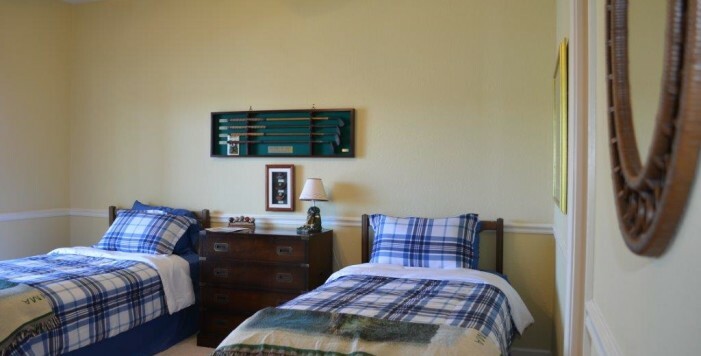 Lower Level has Master Suite & 2 Guest Suites, Family Room w/Fireplace & Wet Bar, lots of storage. 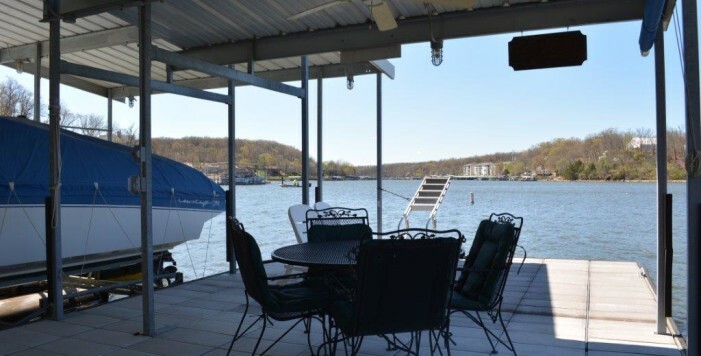 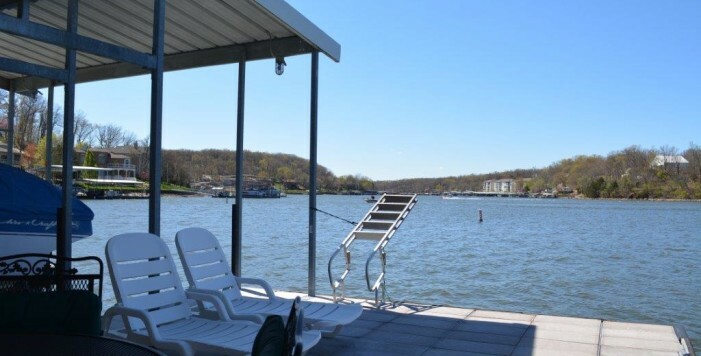 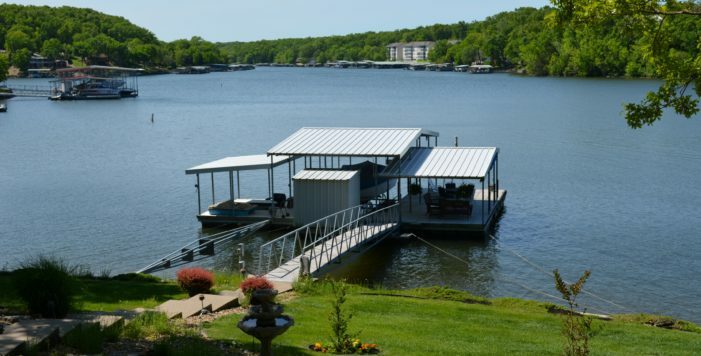 2 Car Garage & Dock w/12x30 slip w/hoist & PWC slip, 32x12 open/covered entertaining deck.